LANBAOSI was born in 2014 ,with its unique design concept, excellent quality and comfortable clipping, has gain the crazy love from the clients. 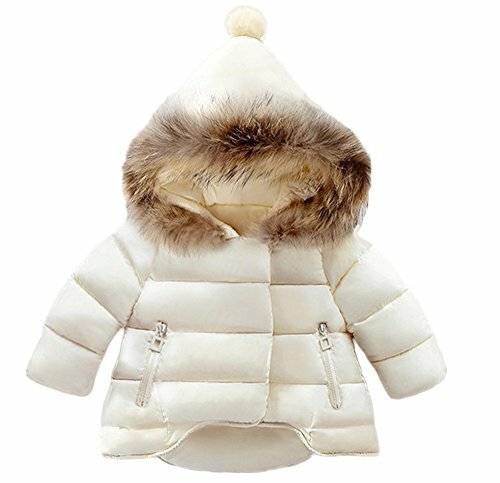 Description: Down Coat Featuring Quilting,Solid Warm Down Jacket with Hat, Long Sleeve Down Coat, Zipper Design is Convenient for Kids. High Quality, Fashionable, Windproof. The Best Choice for Winter and Fall Wear. Size 12-18 Mouths :Height 31.50" Shoulder 9.65" Chest 25.20"Front Length 13.78" Back Length 16.14" Sleeve 11.81"
Size 18-24 Mouths :Height 35.43" Shoulder 9.84" Chest 25.98" Front Length 14.57" Back Length 16.54" Sleeve 12.80"
Size 2-3T :Height 9.37" Shoulder 10.04" Chest 26.77"Front Length 15.35" Back Length 17.32" Sleeve 13.58"
Size 3-4T:Height 43.31" Shoulder 10.24" Chest 27.56" Front Length 15.75" Back Length 17.72" Sleeve 13.98"
Size 5:Height 47.24" Shoulder 10.43" Chest 28.35"Front Length 16.54" Back Length 18.50" Sleeve 14.37"
Size 6 :Height 51.18" Shoulder 10.63" Chest 29.13" Front Length 17.32" Back Length 19.29" Sleeve 14.76"